Axel Braun studied sociology and art history in Hamburg and Paris and then held a position on the PR and marketing staff of the Mathildenhöhe Darmstadt. He has been with the Städel Museum in Frankfurt since 2009. 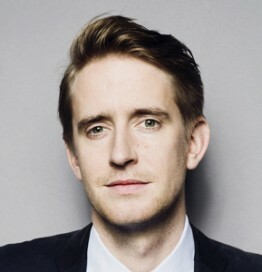 Here he initially served as media spokesman, and from 2012 to 2015 as the head of press and publicity of all three museums under Max Hollein’s direction (Städel Museum, Schirn Kunsthalle Frankfurt, Liebieghaus Skulpturensammlung). In 2015, in conjunction with the Städel’s digital expansion, Braun broadened his focus to encompass digital mediation, and in addition to press and publicity meanwhile heads the Städel Museum / Liebieghaus Skulpturensammlung department of online communication. In this capacity he is involved in the development of several innovative digital communication and mediation offers and makes up part of the museum’s cross- departmental strategic “digital think tank”.